What's the formula for incredible LP sound?? Oh how about using the BEST wood... 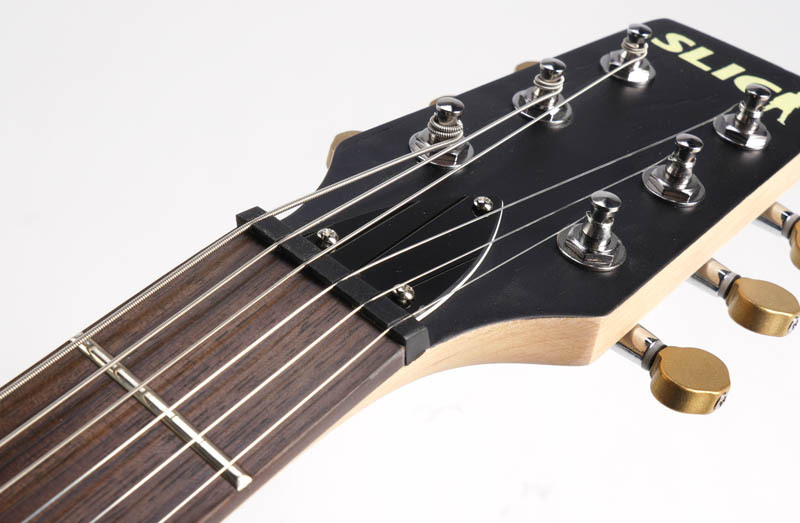 The BEST hardware...The BEST tuners....The BEST pickups...And finish it off with the thinnest finish, hand massaged to give you the warm, silky, old-school feel of a guitar that's been on tour for a while. 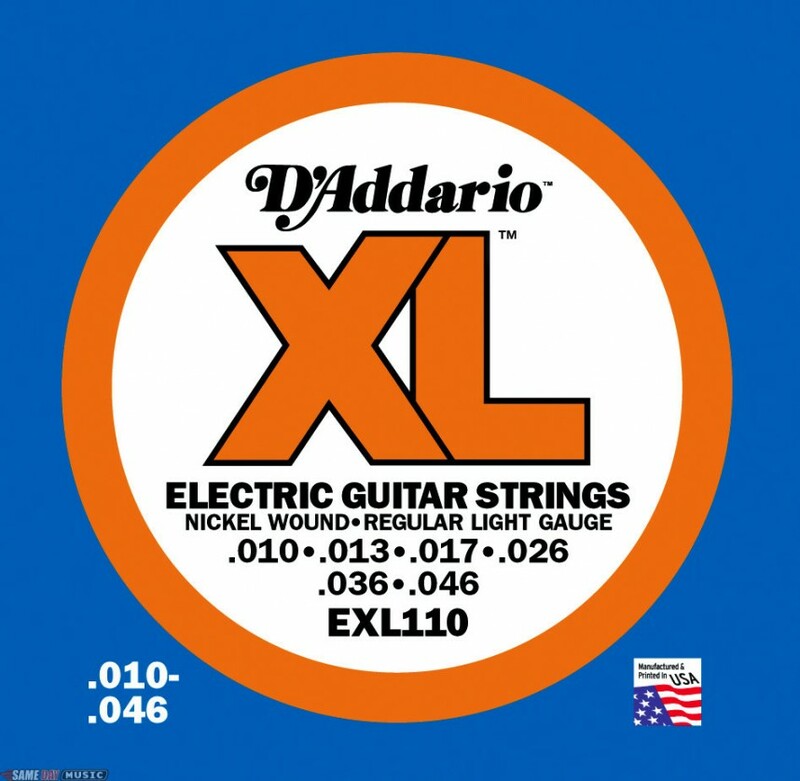 Each Slick Guitar is equipped from the Factory with New York made D'Addario EXL110 strings. 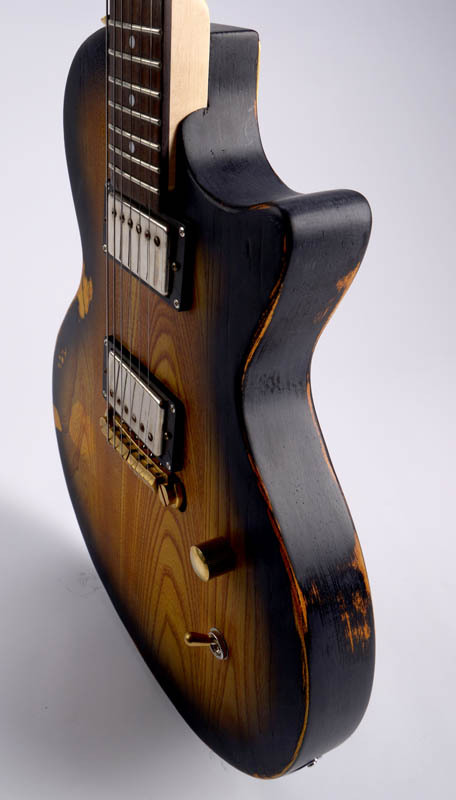 We're running a Gibson-Standard 24 3/4" scale length, a 43mm wide nut and a 12" fretboard radius. 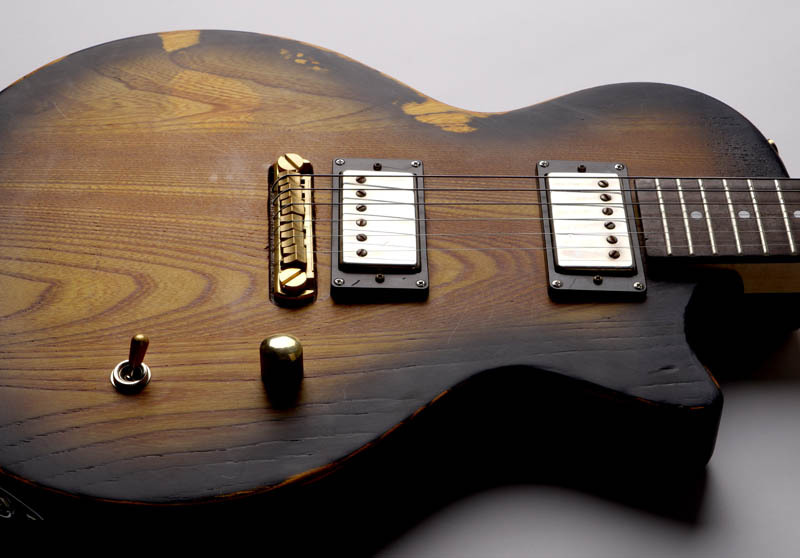 The neck has twenty two nickel-silver 6105 profile medium jumbo frets, leveled, crowned and polished. 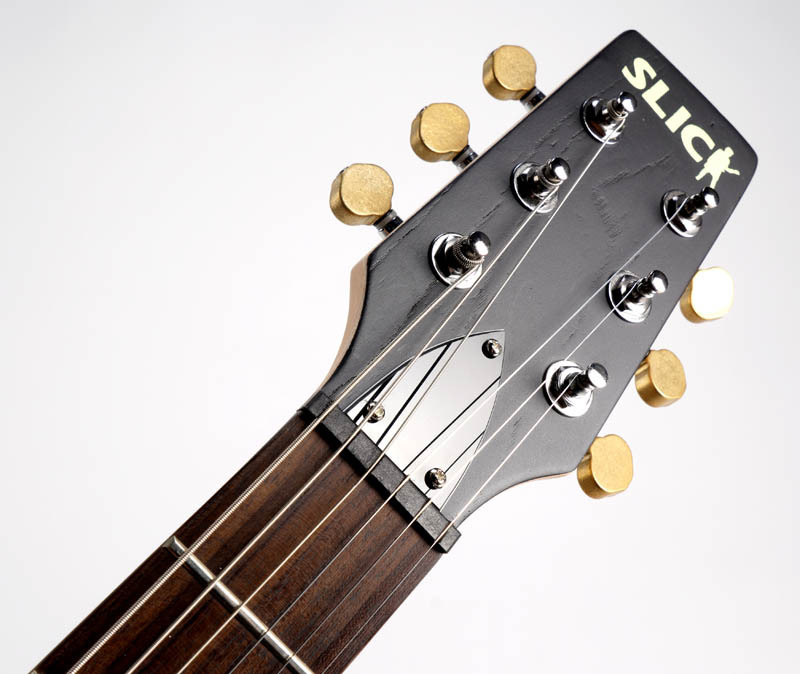 Where the Slick SL52 really distinguishes itself is with the PICKUPS. We use a pair of Slick Brand, HAND AGED "Slick Old School" ALnico V pickups. Classic "Patent Applied For" style and sound- Alnico V bar magnets, Delrin bobbins, Formvar 42 gauge wire, German Silver baseplate and German Silver cover. Wound crazy-strong at 9.2K for the bridge and 8.0K for the neck. 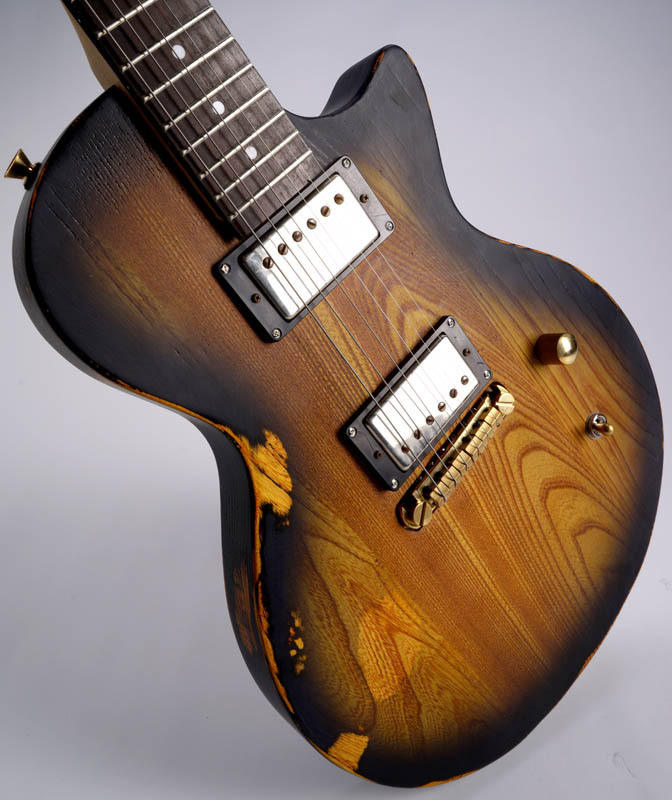 The pickups are not just built from the right stuff, but we hand age them- both cosmetically and magnetically. They look like old pickups... they feel like old pickups... they sound like old pickups. The feel and vibe is enhanced and preserved by the completely unique way that we finish Slick guitars. 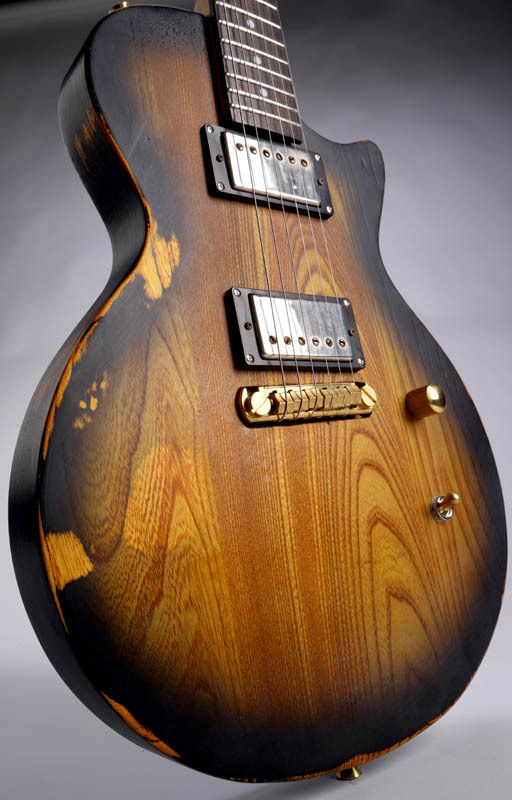 The solid ash body is NOT wood grain filled. It is NOT sealed. NO Polyurethane fillers. It's raw. We spray a single coat of old fashioned automotive paint and sand it back. The pores don't get clogged so the wood can breathe. It works. It sounds better. Louder. Fuller. You can feel it instantly. 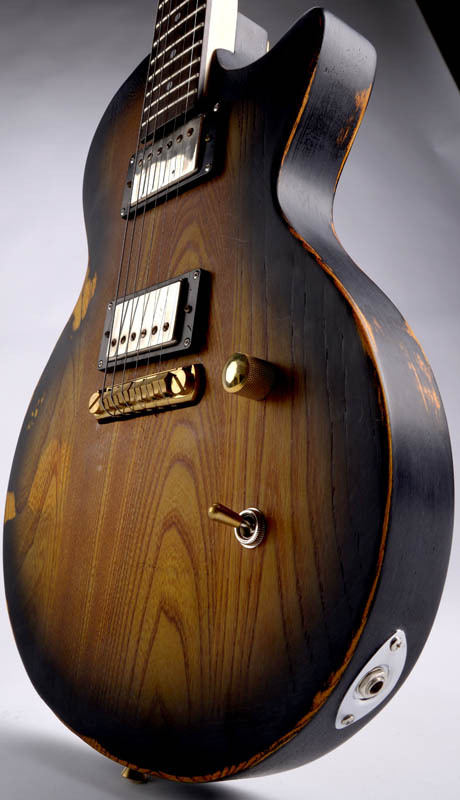 The SL52 is a unique guitar, with a tone, feel and sound unmatched by anything under a grand out there. Try one. We think you'll be hooked!